A couple of weeks ago, I pulled this quilt from the pile to put it on our bed only to discover that I hadn't hand stitched the binding down. I worked on it in the evenings while we were away, and now it is officially finished. This is Roll Roll Cotton Boll, the Bonnie Hunter mystery for 2010. I'm especially proud of this one because it is made totally from my stash. This is the first Quiltville mystery that I've done. There are lots of pieces to Bonnie's mysteries, but they are really well worth the effort. I have her last two mysteries in various stages, too. I love the border on this one. If you haven't done one of Bonnie Hunter's mystery quilts, she starts them sometime in November and gives one clue a week for 7 or 8 weeks. The clues for this year's mystery, Easy Street, are still posted on her blog. Yesterday we drove south from our cabin into Gatlinburg, TN, so that I could check out Mountain Stitches by Susan quilt shop. This was my first visit there, and I love their selection of reproduction fabrics. Besides the shelves being full, there are lots of fat quarters and fat eights to choose from. The store is part of the Arts and Crafts Community in the area and is located in the Morning Mist Village on Glade Road. Glades Road is off of Tennessee-71/US 321. Here is what the building looks like from the outside. You know you are in the right place when you see the quilt block in the window! Right behind that colorful umbrella, there is an old fashioned soda fountain. Be sure to stop in there and have a scoop of their ice cream. I had a scoop of Blueberry Pie Crumble, and it was just wonderful! When you see this sign "Great Smoky Mountain Arts and Crafts Community" on Tennessee-71/US 321, turn. This is Glades Road. There is a sign overhead, but there are so many other things to see that it is easily missed (or at least we missed it). There is only one way to turn onto Glades Road. There are so many places like you see in the photo below with "stuff" to look at, and that is probably part of the reason I missed the Glades Road sign. If you can zoom in on the photo, you can see the photo better. My husband doesn't like to look at "stuff" so the photo was taken while going around 50 mph, but you get the idea. As you can see by the fabric, the trip was well worth it. 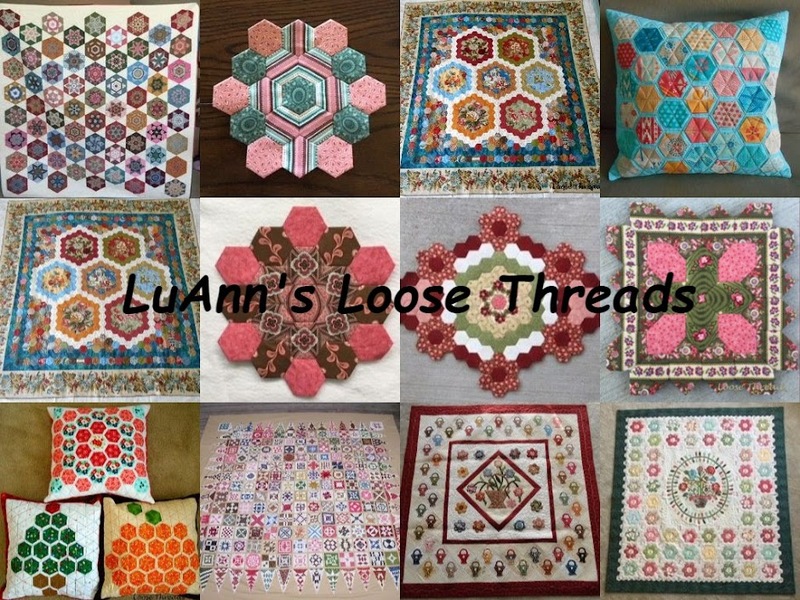 If you are ever in the area, stop by and check out Mountain Stitches by Susan. They also have a blog here: mountainstitchesbysusan.com/blog/, and they can be "Liked" on Facebook under Mountain Stitches. Here is all the information you will need to find them if you are ever in the area. On the way back north, there was a tunnel. Yes, I'm easily amused and love taking photos. We went on into Sevierville, TN, to visit a couple more quilt shops there. I found this quilt hanging on the wall of the Court House there. due East is a cell tower!!!!!!!! Here we are all those years ago. Those of you that know me well can guess that I have some hand stitching along with me. There will also be a couple of quilt shop stops later on in the week. I received this surprise in the mail a few days ago. My friend, Vicki, from Minnesota had this beautiful quilt book sent to me from Washington, DC for my birthday. Historic Quilts of the DAR Museum shows some examples of the early American quilts that are housed in the DAR Museum. There are just a few more than 300 quilts in this collection, and more than half of them were made before 1850. This is a beautiful book; here are just a few of the quilts. This is Stuffed Flower Vases made about 1840. You can see the gorgeous quilting in the photo. I think this is my favorite quilt from this book. The maker is unknown. This log cabin patchwork was made in the late 19th century. The maker is unknown, but the use of color and shading in this quilt makes it look dimensional. This is Mrs. Francis Scott Key's Counterpane made about 1840-45, and it is unquilted. Mary Lloyd Key was the wife of Francis Scott Key who wrote "The Star Spangled Banner." Hannah Wallis Miller's Mosaic Quilt. About 1840-45. Hannah's father was a Quaker, but he joined a unit of the Pennsylvania Militia. In the 20th century someone discovered that he had also been one of Benedict Arnold's spies for the British. This quilt is arranged in the Martha Washington's Flower Garden pattern. This is the Fish Family Chintz Album Quilt 1843. The beautiful chintz used in this quilt was the latest and finest English chintz that would have been readily available during this time period. This is the center of the Audubon Tree of Life Quilt...1820s. This quilt was originally owned by Edward Harris who was a close friend of John Audubon who authored, Birds of America, and spent most of his life finding and documenting North American bird species. Louvica Houchins Princess Feather Quilt made 1839. Marie Webster Dogwood Quilt 1932. Marie Webster's designs and writings are said to be credited with the resurgence of quilting in the early 20th century. She began publishing articles in Ladies' Home Journal in 1911. Her patterns were available from the magazine for 15 cents. The pattern for her Dogwood quilt was published in Ladies' Home Journal in January 1912. For those of you that don't know, DAR stands for Daughters of the American Revolution. The DAR is a women's service organization devoted to preserving American history and promoting patriotism. Membership is open to any woman 18 years or older who can prove that she is a descendant of a patriot of the American Revolution. Vicki proved her lineage and became a DAR member about 2 years ago, and she has done research for me so that I am close to being able to submit my papers and become a member, too. Thanks Vicki for a beautiful book and for your help. You can go to www.dar.org to read more about the Daughters of the American Revolution. I am back from my birthday hiatus. Thanks to all of you for all of your good wishes on Facebook, through email and/or snail mail and in person. I really appreciate hearing from all of you. My son, daughter-in-law and grandson invited us over for a belated birthday dinner. This is my cupcake "tree" that my daughter-in-law made. The flowers on top are made from gum drops. This is party time here since my birthday, daughter's birthday and Mother's Day are all within the same week. Daniel had a good time at the party. His t-shirt says "What happens at Grandma's house stays at Grandma's house." This is some of the fabric that I bought....a fat quarter pack of Judie Rothermel's Scarlet Evening line. Don't really have a plan for this. I just like it. My friend, Pam, got me this great lantern and took me out for a wonderful Mexican dinner. I love the lantern and can't wait to decorate it for the holidays. I also ordered the new Di Ford book, Primarily Quilts. I love this hexagon quilt. This book is truly a study in fabric and how to mix different prints within a quilt. Beautiful feathered star quilt; beautiful applique and pieced border. This one might be my favorite of all in the book even though her version of the Phebe and Ann Daggs quilts are in the book along with their patterns. Even Oh Dear Mrs. Tompkins (also known as The Burnt Quilt) is in the book. I've been ordering a bit of the original fabrics for some of the quilts in the book. I'd love to make every one. I hope you are finding some time to do a little bit of stitching today.